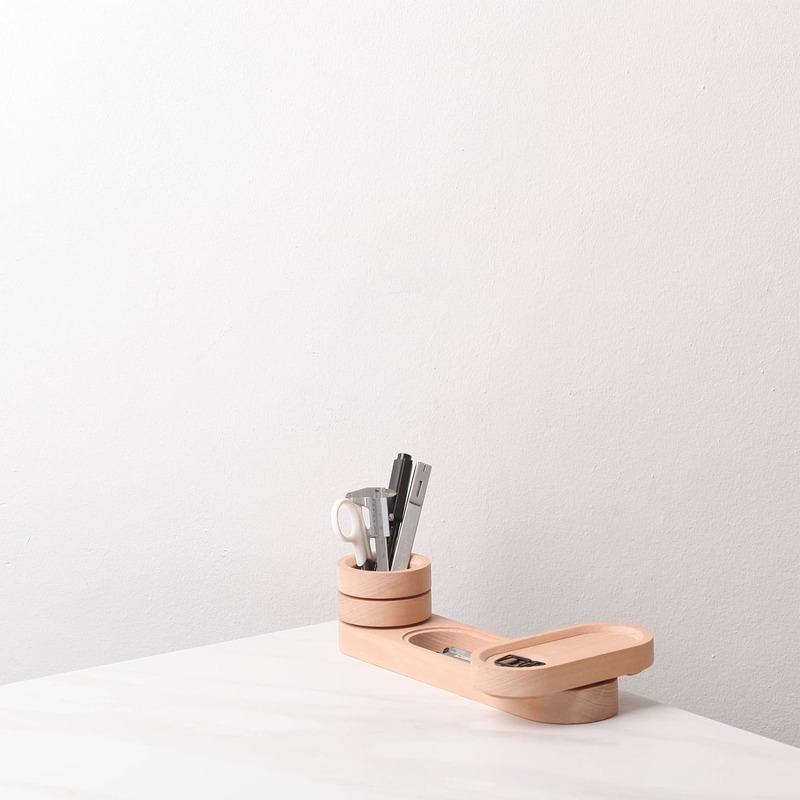 The Radi stationary set by Pana Objects is a minimalistic wooden desk organizer that will help you to tidy up all your office utensils in a clean and stylish way. 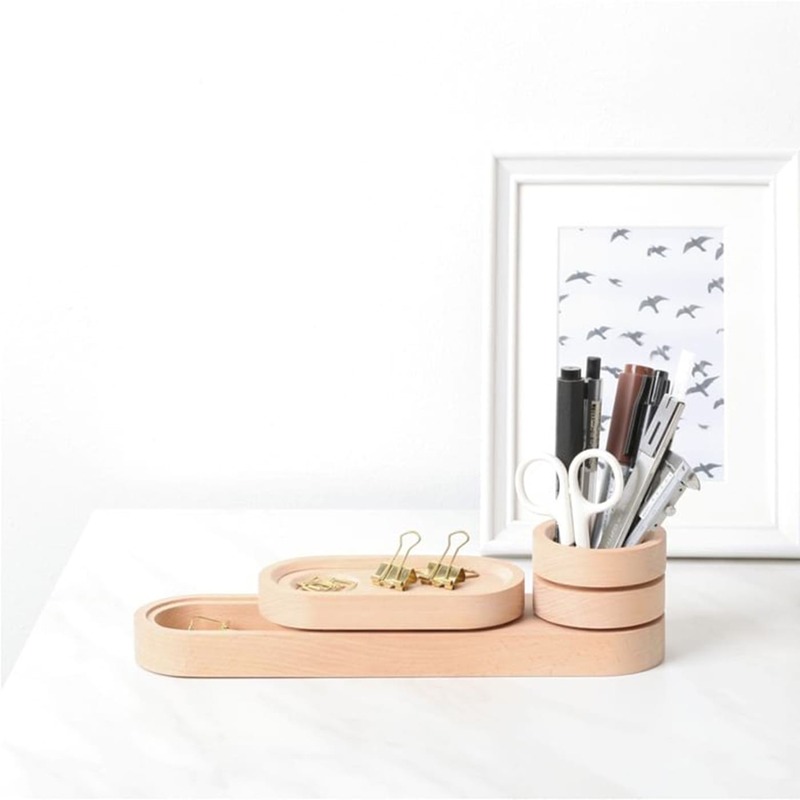 Wholly crafted from a solid maple wood, this sophisticated desk organizer set comes with three distinct, minimalist modules that have a place for all things stationary like pens, notes, paper clips and other office accessories. 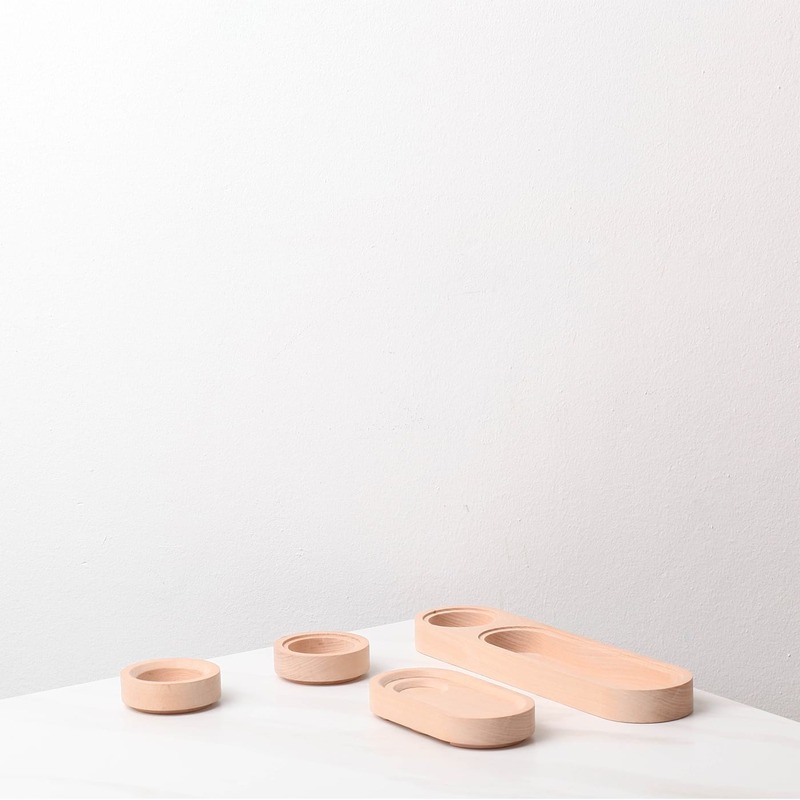 The product comes with compartments for both large and small items. 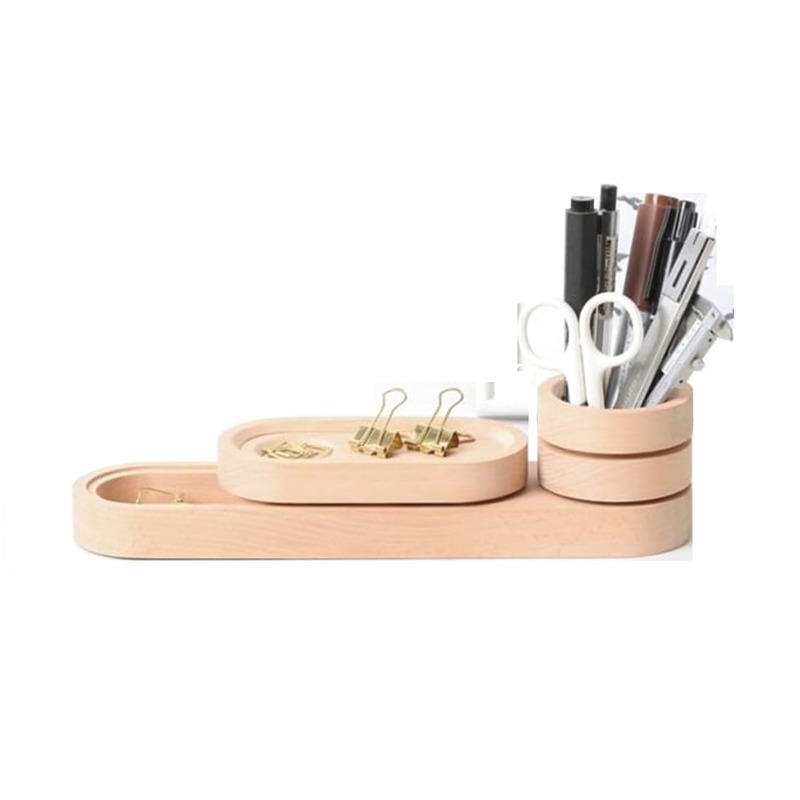 Set of 1 base and 3 organizing blocks. 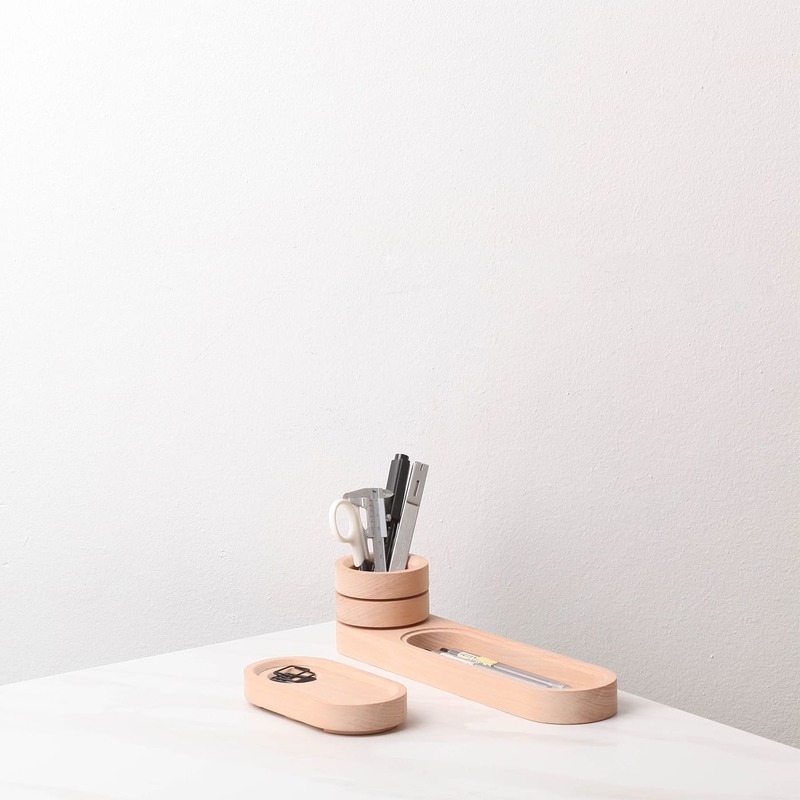 Dimensions: W 25.5 x H 6.5 x D 4.2 cm.